New forms of organisation are emerging in the construction industry – from partnering to virtual teams. There is a growing need to consider project organisational structures carefully. 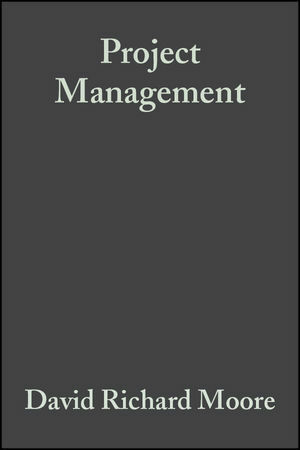 This book differs from the many other texts on project management by concentrating on the challenges of devising relevant structures for project management. It examines the diverse factors to be considered when determining an initial overall organisation for new construction projects. It also looks at how to vary the organisation in response to the differing environments over the lifetime of a project. David Richard Moore is associate professor of Instructional Technology at Ohio University, where he teaches several graduate-level courses and is Coordinator for the Instructional Technology Program. Formerly he was a multimedia developer and designer for the Federal Aviation Administration, a Network User Support Specialist for the University of Nevada, and the Director of Distributed Education at Portland State University. Part 1. STRUCTURE PAST - Searching for the real project: the historical approach; Open system characteristics in industrial terms: relatively recent developments;. PART 2. STRUCTURE PRESENT - Establishing a project's relevant environmental forces: recognise the relevant - ignore everything else? ; Further factors in a possible model for organisation structure design; Control is not total;.